Larry Weber is a globally known expert in public relations and marketing services. He founded one of the industry’s first interactive marketing agencies, Thunderhouse, and has worked with world-class clients including ARM, AT&T, Coca-Cola, Cook Medical, General Electric, General Motors, IBM, Kaiser Permanente, Microsoft, and many more. In 1987, Larry started his own public relations company, The Weber Group, which within a decade became the world’s largest public relations firm. The Interpublic Group of Companies purchased The Weber Group in late 1996, and in early 2000, Larry was named chairman and CEO of Interpublic’s Advanced Marketing Services, a $3 billion unit with 12,000 people, and included the company’s public relations, research and analysis, and entertainment holdings. Larry serves on a number of Boards of corporations, non-profit organizations and academic institutions. 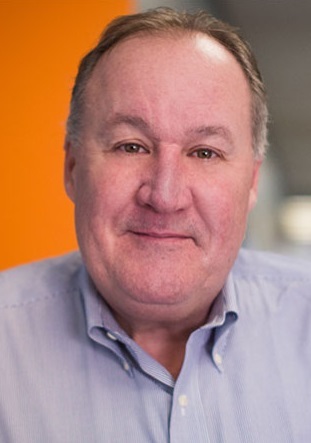 He is the co-founder and Chairman of the Board of Directors of the Massachusetts Innovation and Technology Exchange (MITX), the largest interactive advocacy organization in the world. In 2013, Larry was a speaker and a member of Oxford’s 2013 Union Debate team at the annual Silicon Valley Comes to Oxford at the Saïd Business School. Larry has authored five business and marketing books, including The Provocateur: How a New Generation of Leaders Are Building Communities, Not Just Companies (Random House/Crown Business, 2002), business bestseller Marketing to the Social Web: How Digital Customer Communities Build Your Business (Wiley & Sons, 2007, with a second edition in 2009), Sticks & Stones: How Digital Business Reputations Are Created Over Time…And Lost in a Click (Wiley & Sons, 2009), and Everywhere: Comprehensive Digital Business Strategy for the Social Media Era (Wiley & Sons, 2011) and his newest book, The Digital Marketer: Ten New Skills You Must Learn to Stay Relevant and Customer-Centric, was released in Spring 2014.